Stars: Dev Patel, Armie Hammer, Tilda Cobham-Hervey, Jason Isaacs, Anpum Kher, Nazazin Boniadi, Amandeep Singh, Suhail Nayyar, Yash Trivedi, Gaurav Paswala . This tense and claustrophobic drama is based on the true story of the horrific terrorist attacks that occurred in Mumbai in 2008 and resulted in some 174 people being killed. In 2008 ten heavily armed members of Lashkar-e-Taiba, an Islamic terrorist group from Pakistan, launched a series of coordinated attacks throughout the city centre, which lasted for nearly three days. Many people managed to flee and seek refuge inside Mumbai’s luxurious five-star Taj Mahal Palace Hotel where the staff tried to shelter them inside the hotel’s exclusive VIP dining room under the protection of renowned chef Oberoi (Indian actor Anpum Kher). As the gunmen moved through the building indiscriminately shooting people the guests sheltered in fear. Arjun (Dev Patel, from Slumdog Millionaire, Lion, etc) was an impoverished waiter who helped to shelter many of the guests. Also trapped inside the hotel was American architect David (Armie Hammer, from Call Me By Your Name, etc), his wife Zahra (Nazazin Boniadi) and young baby and their nanny Sally (Australian actress Tilda Cobham Hervey, from 52 Tuesdays, etc) and Vasili (Jason Isaacs) a sleazy Russian businessman. Outside the local police force were powerless to act, awaiting the arrival of the elite special forces team from Delhi five hours away. Hotel Mumbai is inspired by the 2009 documentary Surviving Mumbai, and marks the feature film directorial debut of Greek-Australian filmmaker Anthony Maras, who made the award winning 2011 short film The Palace, which was set in war torn Cyprus. Maras co-wrote the script with John Collee (Master And Commander, etc), and the film is based on a series of interviews the pair conducted with survivors, and also draws on phone transcripts and intercepted phone class, which also lends an authenticity to the material. Maras and his editor Peter McNulty also incorporate some actual newsreel footage and archival footage to further lend to the sense of immediacy and authenticity. The film is little more than a violent and graphic recreation of the siege itself with little depth or insight. Maras moves between the stories of the guests and the terrorists stalking the hotel. We get some insight into the motivations of the terrorists (played by Amandeep Singh, Suhail Nayyar, Yash Trivedi and Gaurav Paswala) who are deeply religious and willing to martyr themselves, but they are obviously being manipulated by unseen forces. Here his approach is methodical. Hotel Mumbai is a very visceral experience, especially given that Maras’ direction is quite unflinching. There is a lack of subtlety to his approach, and the violence is quite graphic. The tension is real and the sense of fear is palpable. 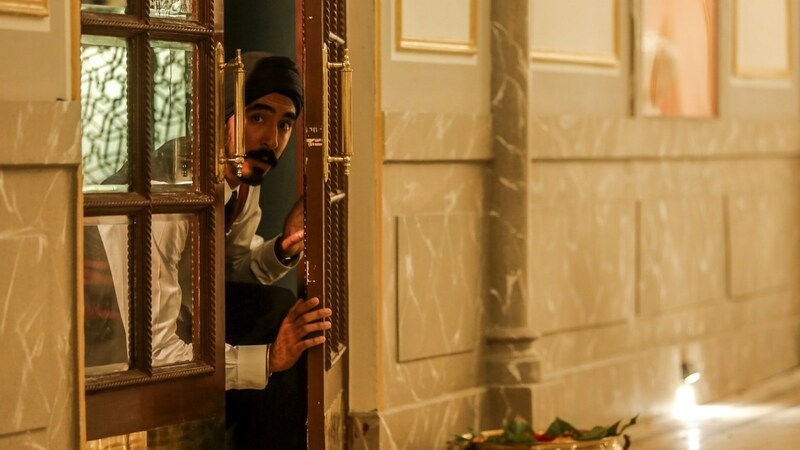 Hotel Mumbai was largely shot in Adelaide, and there is some great production design from Steven Evan-Jones that recreates the interiors of the famous hotel. Scenes set outside the hotel were actually shot on location in Mumbai. The film has been nicely shot by cinematographer Nick Remy Matthews (who also shot Maras’ The Palace) who gives it a sense of claustrophobia. Patel’s sympathetic performance grounds the film and gives audiences a character to cheer for. Isaac is given little to do with a one-dimensional character. This is a tale of heroism, courage under fire and sacrifice. This tension fuelled drama is in the same vein as films like Peter Greengrass’s tense thriller United 93, which was set against the backdrop of the events of 9/11. Given recent events in New Zealand Hotel Mumbai also has an unfortunate contemporary and harrowing relevance and timeliness. The film has been pulled from New Zealand cinemas as a mark of respect for the recent victims of the senseless tragic mass shooting that occurred there a week ago.